Lake Tahoe is all about the beauty of the water and the mountains. Year after year, travelers visit the high sierras in Northern California and Nevada. 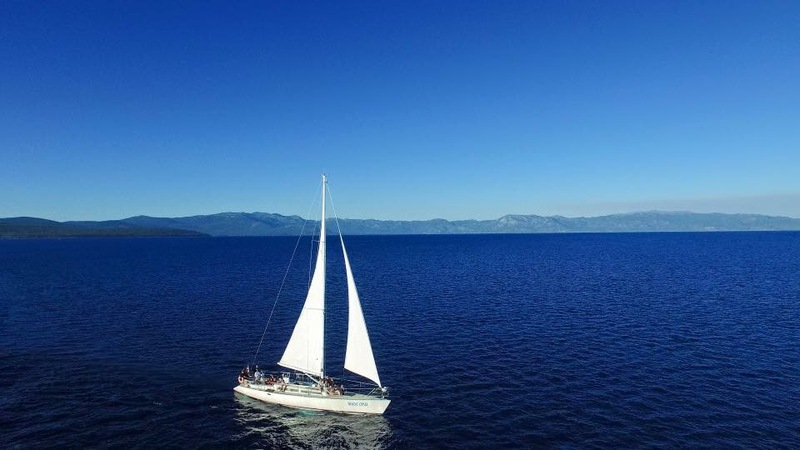 While many people can more or less teach themselves to paddle board, kayak, or even ski, there is one activity that not everyone can easily learn on one’s own… and for that type of adventure, a sailing charter in Lake Tahoe may be for you. 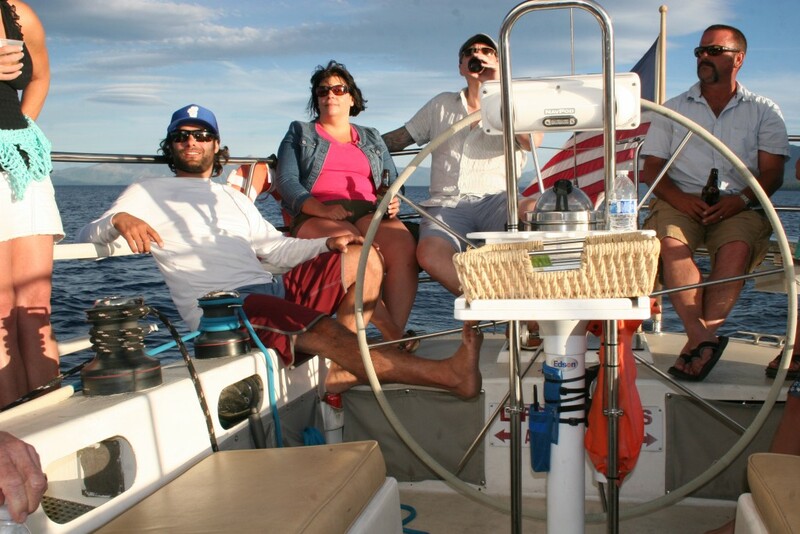 Together with his partner Captain Mike, Tahoe Sailing Charters guides groups around Big Blue every day of the year. Tyler and I got the chance to chat about what it is he does and why a life in Lake Tahoe –or even a short trip up — has him totally blown away. OneRooftop: What is your favorite part of being in Lake Tahoe and doing what you do? 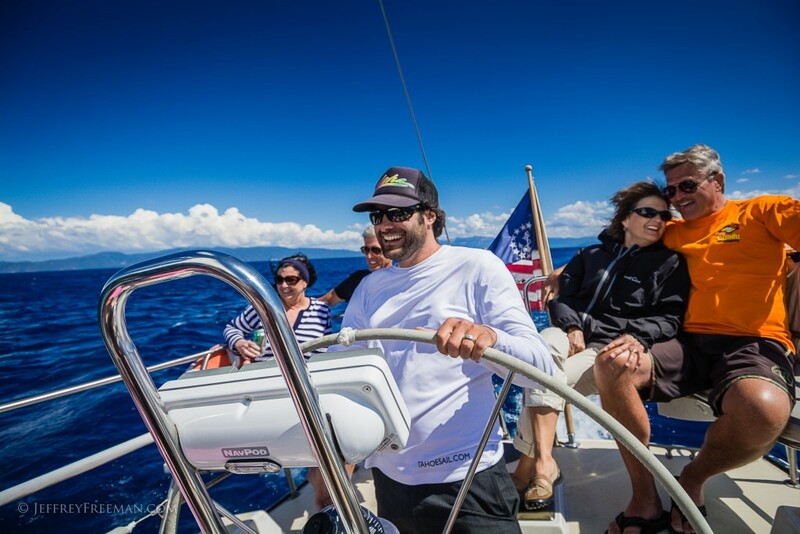 Tahoe Sail: There’s so much that’s special about it. The lake is the draw. The variety of the activities that are just right out my back door. I can hike down to the beach with my wife and baby and the community is just so great here. We had an instant friend group when we got here. There was so much warmth upon our arrival and it’s just kept getting better through the years. As for doing what I do, the conditions are perfect every day. Even when it’s windy, the windiest day of the year, it’s still smooth. It’s unimaginable from a sailing perspective because the wind comes off the shore, but it is just flat water. OneRooftop: If people are vacationing in North Lake Tahoe, they come to Tahoe Sailing charters. I imagine it has a little something to do with your sail boats specifically. Could you tell us a little about them? Tahoe Sail: Oh man, yes. Happy to. So the first is the Tahoe Cruz, a 50-foot sail boat and it is just a bad bad machine. It’s so sweet. Seriously you can just feel the power beneath your feet. It’s a vintage race boat. Think of a 1960s Jaguar. The car used to hit the tracks but now it’s just a really, really sweet car. Well, it’s the same with the Cruz. It’s a really well-made and beautifully-designed boat. It was made for offshore racing and used to go all the way from LA to Hawaii. This boat is running every day on a schedule, typically a 2 hour trip. 2 hours will get us all the way to Sugar Pine Point. This boat is also available for private charters across Lake Tahoe. With a private charter we can go out for as long as we’d like. Our other boat is a little bit smaller, 30 feet. We call it the Tahoe Dreamer. Fitting about 12 passengers, this motor-powered catamaran is very stable, very fun. It’s a cruiser through the lake. This boat has been used a ton for bachelorette parties, weddings, proposals, all kinds of fun times. We only book it for private charters but we’ll take it anywhere on the lake for 5-6 hours. We can start in Tahoe City and take a private cruise to Emerald Bay. You can take a swim, or just hang out in the sun. You’ll want at least 3 hours for that trip. OneRooftop: Weddings on a boat sound incredible. I’ve seen that your charters are recommend by Tahoe Unveiled. How did you begin doing weddings? Have you hosted many weddings? Tahoe Sail: Oh completely. Boats and weddings are hand in hand. Over my career, I have done so many weddings. It’s just one of those things. I’m actually an officiant and have led wedding ceremonies on my sail boat on Lake Tahoe. Part of this is just Tahoe. There are so many destination weddings up here, especially groups coming up from the Bay Area. One of my favorite things for wedding parties is to do a Thursday afternoon private sailing tour around Lake Tahoe. Everyone can get a little pre-party in before the wedding. OneRooftop: So you’ve been up in Tahoe for awhile now. Where is your favorite watering hole, or where do you recommend people go get a bite to eat? Tahoe Sail: I go most often to Moe’s BBQ. We’re friends with the owners and it’s just super simple. You walk up to the counter and get your wings, or your pulled pork. Whatever you want, they have great beer on tap. Now if it was a special occasion and I wanted something more along the line of fine dining, it would be Christy Hill or Wolfdale’s. Another thing though is we try to eat in Truckee much much more now. I love the Truckee Tavern. Moody’s is really good. I also really liked this new place called the Old Town Tap. They’re able to cultivate a wild west, railroad town feel but with “foodie” food options and good jobs. OneRooftop: I love it. Okay, well this last question is a bit of a similar vein. You’ve got one day in Lake Tahoe. What do you do? Tahoe Sail: Pretty easy. I’m all about the activities.I’d start early with a paddle board cruise. The morning is just so perfect on the lake and is a stillness you can’t believe until you see it. You can rent them all over the lake but Tahoe City Kayaks are great. After that, I’d do breakfast at Sugar Pine Cakery before taking my mountain bike over to the cross country center, which is just behind the North Tahoe High School. I’d grab lunch at Moe’s and relax for a little bit. Finally, I’d catch a sunset sailing charter across the lake. Man, after that. I guess I’d need dinner. There are about five from where we drop of the boat at the end of a cruise and all of them are good! 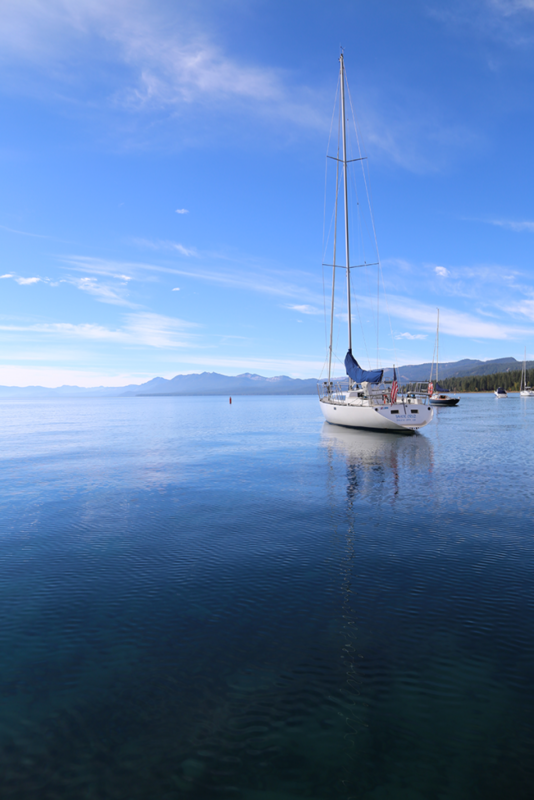 Interested in booking a sailing tour across Lake Tahoe? Schedule your trip with Tahoe Sailing Charters on their website. Follow OneRooftop for more Lake Tahoe travel tips. 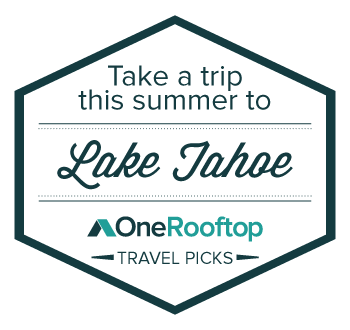 OneRooftop is a text-to-travel service available for your trip out to Lake Tahoe, no matter the occasion.